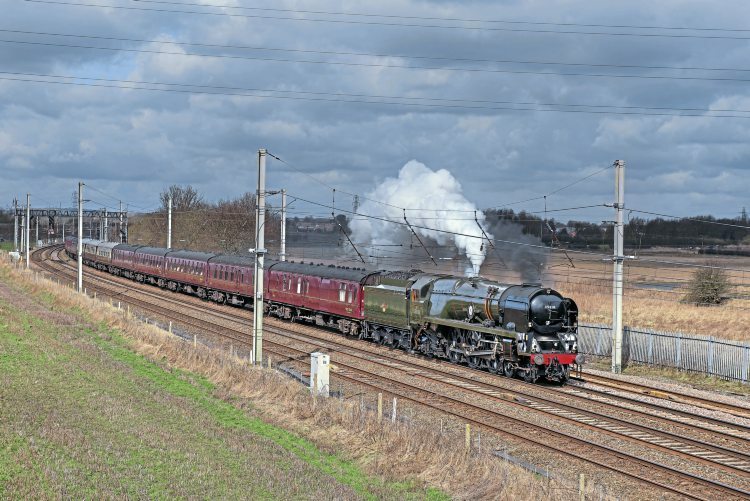 The good work of LMS Jubilee 4-6-0 No. 45699 Galatea over the Fells continues and although my column this time is about Southern steam, it is worthwhile reflecting on the consistency of performance by this in-form locomotive, even if the more recent climbs to Grayrigg from Carnforth have been marred slightly, the one on March 10 apparently by a poor batch of coal. Over the S&C to Ais Gill, the times from the Appleby start have all been quiet close as the table left shows. Remarkable considering the different engine crews and weather conditions involved, and very high marks indeed to all at West Coast Railways. 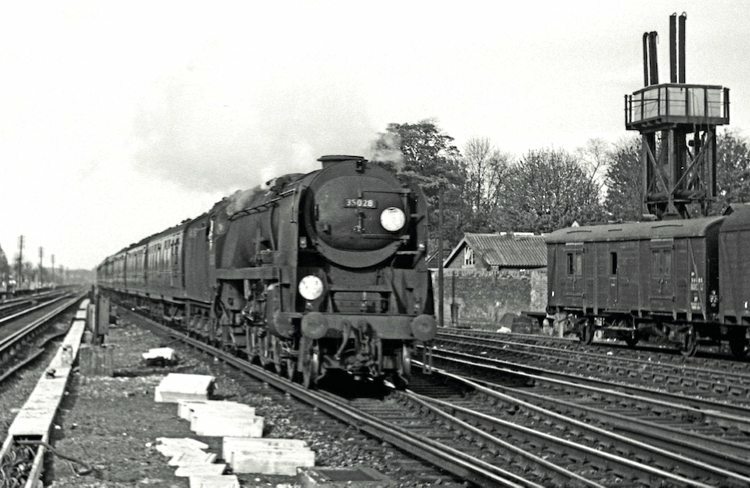 Back to Southern matters, on February 10, UK Railtours ran another of its circular trips around Hampshire, this one from Victoria via Twickenham, Woking, Basingstoke and Winchester to Hedge End, returning via Havant and Petersfield, named ‘The King Alfred’. As usual our locomotive was Merchant Navy Pacific No. 35028 Clan Line and our load 12 coaches for 431 tons tare, or about 465 tons full; 13 coaches in old money. UK Railtours had once again kindly seated our little group of ‘old timers’ together and a few of us also met beforehand for breakfast in a seething Wetherspoons on Victoria station as departure was not until a very civilised 10.43am. Rugby at Twickenham accounted for most of the happy mob crowding the bars but we quickly found a table for our more traditional meal. On the train the weather was cold but dry as we left just over a minute late with Jim Clarke driving, Tim Stedman firing and Don Clarke as Traction Inspector. The class 67 diesel which had brought the stock in gave us a push up to Grosvenor Bridge and then dropped off as DBC only allows a diesel to remain on the rear of the train in certain strictly-specified circumstances. After calling at Clapham Junction to pick up more passengers we ran well to Woking via the long way round with a maximum of 67.6mph. near Ashford. Table One shows the next section on to our water stop at Hedge End and as we were at the front of the train we could hear that Clan Line did not need to be pushed anywhere on what turned out to be a fairly tightly-timed section with pathing through the Basingstoke/Worting Junction area being crucial. Wayne Thompson had taken over the driving from Woking with Jim Clarke on the shovel. On the slow line this reliable pair eased us over milepost 31 at a good 55mph, then allowing No. 35028 to run easily up to 72mph after Fleet on what was now a wet day. Despite the speed reductions for Winchfield and a long crawl past Basingstoke we were still on time at Worting Junction from where we had a clear run up past Wootton and Roundwood (66.6mph) and then down the long 1-in-249 through Winchester where we must have made a fine sight at 78mph with whistle blasting. A cautious approach to Hedge End saw a loss of just over a minute on the schedule, or 59 minutes net for the 52.74 miles.